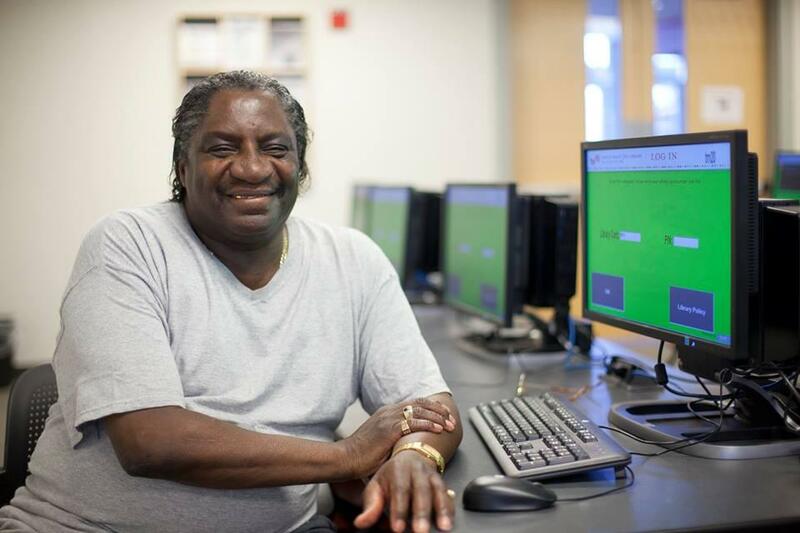 68-year old Harvard Hardges learned how to use computers at the Orleans Street Branch's Senior Tech classes. The day after the outpouring of anger and looting in Baltimore following the funeral of Freddie Gray, Baltimore’s libraries stayed open including the Pennsylvania avenue branch, at the center of some of the worst devastation. One of the issues at the center of the Freddie Gray discussion is the issue of unemployment and economic growth in neighborhoods with pervasive poverty. And in Baltimore, workforce development is happening in an unlikely place. Walk into almost any public library and you’re likely to see lots of people at the computers: kids cruising YouTube videos, high schoolers working on their homework, folks updating their Facebook profiles. Americans don’t use libraries just for books. They are very much 21st century institutions, repositories that make the past more accessible at the same time they increase access to technology and digital information. Data from the U.S. Census Bureau indicates that one-fourth of Baltimore residents don’t have access to the internet at home, school or work. To understand how libraries addresses diverse needs, especially workforce development, we head to Enoch Pratt’s central library in downtown Baltimore. Enoch Pratt ECO Carla Hayden gives us a short tour in the well-lit ornate hall. We also visit a job seeking class and talk with a few job seekers.